AUCD works towards equal civil rights and protections for people with disabilities and for enforcement of federal civil rights laws. Click below or at left to learn more about the civil rights issues AUCD follows. Visit AUCD's Action Center and click on "Current Legislation" to see the the latest bills related to civil rights. Congress enacted the Americans with Disabilities Act in 1990 to "provide a clear and comprehensive national mandate for the elimination of discrimination against individuals with disabilities." The ADA broadened protections and promoted the inclusion, integration and empowerment of Americans with disabilities. In 2008, Congress enacted the ADA Amendments Act (ADAAA), reaffirming its commitment to protecting citizens with disabilities against discrimination and ensuring them access to opportunity. Genetic Information Nondiscrimination Act (GINA). The Genetic Information Nondiscrimination Act protects all Americans from discrimination based on their genetic information with regard to employment and health insurance. The Rehabilitation Act prohibits discrimination on the basis of disability in programs conducted by Federal agencies or receiving Federal financial assistance, in Federal employment, and in the employment practices of Federal contractors. The standards for determining employment discrimination under the Rehabilitation Act are the same as those used in title I of the Americans with Disabilities Act. Section 504 of the Rehabilitation Act. The Individuals with Disabilities Education Act (IDEA) law ensures services to children with disabilities throughout the nation. IDEA governs how states and public agencies provide early intervention, special education and related services to eligible infants, toddlers, children and youth with disabilities. AUCD advocates for the protection of equal rights of children and adults with disabilities in all parts of the world, through international measures, including ratification of the United Nations Convention on the Rights of Persons with Disabilities (CRPD). Liz chats with Teresa Moore and John Britton, a couple who have been together for eighteen years and both have disabilities, about the risks that getting married carry for people with disabilities. The AUCD staff have one message for you: GO VOTE! Check when your state's polls close for the November 6, 2018 midterm elections at https://bit.ly/2CWVugH. Don't just be a voter - be an EDUCATED voter! Don't just be a voter - be an EDUCATED voter! This week on Tuesdays with Liz, one of the things Liz talks about is how to get information about the candidates who are running for office in your state's Board of Elections website. Visit https://www.usa.gov/election-office and select your state or territory from the drop down menu, then click 'Go' and you will be taken to your state or local election office website where you can learn more about the candidates' positions on issues that matter to you. This week, Liz sits down again with David Goldberg to discuss Brett Kavanaugh's nomination to the Supreme Court. They discuss a Circuit Court Ruling by Kavanaugh that undermined the civil rights of three women with intellectual disabilities. AUCD signed an amicus brief filed by the National Disability Rights Network (NDRN) in the Endrew case, in which the Supreme Court issued a ruling affirming IDEA protections for students with disabilities. The U.S. Department of Education released a set of guidance documents that provide information about the legal limitations on the use of restraint and seclusion with regard to students with disabilities. These include a new Parent and Educator Resource Guide to Section 504, a Q & A sheet, and a Dear Colleague Letter issued by the Office for Civil Rights. The U.S. Department of Education released a fact sheet on the rights of students with disabilities in charter schools. The document is intended to inform parents, students and the charter school community as to students' rights under Section 504 and IDEA. AUCD signed on to a CCD letter opposing the H.R. 620 - the ADA Education and Reform Act of 2017, which would severely undermine the ability of people with disabilities to enforce their rights under Title III of the Americans with Disabilities Act. AUCD signed onto a letter to the Senate Judiciary Committee expressing strong opposition to the nomination of Senator Jeff Sessions for Attorney General, expressing deep concerns over his record and opposition to protecting the rights of people with disabilities. 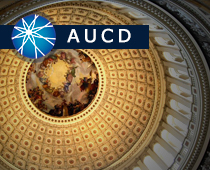 AUCD signed onto a letter to Secretary of Education John King and Attorney General Loretta Lynch expressing support for the joint guidance issued by the Departments of Education and Justice on the responsibility of schools, districts and states to protect transgender and gender non-conforming students from discrimination.